Photo: William H. and Molly P. Humphries House, ca. 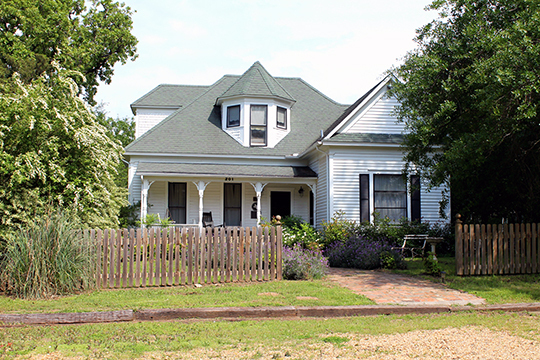 1894, 201 South Main Street, Edgewood, TX. Listed on the National Register of Historic Places in 2004. Photographed by User:Renelibrary (own work), 2015, [cc-by-4.0 (creativecommons.org/licenses/by-sa/4.0/deed.en)], via Wikimedia Commons, accessed October, 2015. Van Zandt County administrative offices are located at 121 East Dallas Street, Canton, TX 75103; phone: 903-567-6722. Van Zandt county was founded in 1848 and named for Isaac Van Zandt [1813-1847] who served in the Texas Republic House of Representatives from 1840 to 1842.